WASHINGTON (AP) — Senate Majority Leader Harry Reid has decided that a proposed assault weapons ban won't be part of a gun control bill the Senate plans to debate next month, the sponsor of the ban said Tuesday, a decision that means the ban stands little chance of survival. "I very much regret it," Feinstein, D-Calif., told reporters of Reid's decision. "I tried my best." Asked about the decision, Reid, D-Nev., said he wanted to bring a gun bill to the full Senate that would have enough support to overcome any GOP attempts to prevent debate from even starting. He said that "using the most optimistic numbers," there were less than 40 votes for Feinstein's ban. That is far less than the 60 votes needed to begin considering legislation, and an indication that Reid feared that including the assault weapons ban in the main guns bill would risk getting the votes needed to begin debate. "I'm not going to try to put something on the floor that won't succeed. I want something that will succeed. I think the worst of all worlds would be to bring to something to the floor and it dies there," Reid said. Feinstein, an author of the 1994 assault weapons ban that expired after a decade, said that Reid told her of the decision on Monday. Gun control supporters consider a strong Senate vote important because the Republican-run House has shown little enthusiasm for most of Obama's proposals. 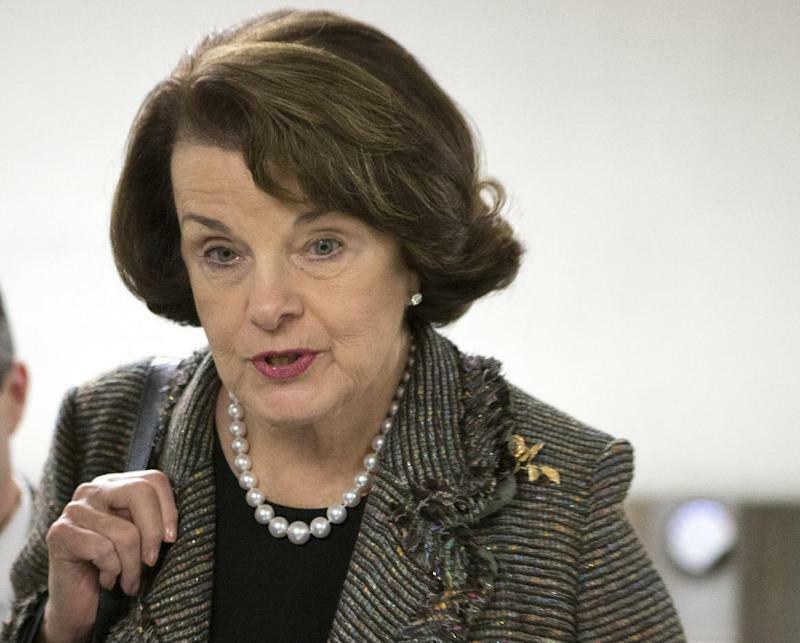 The Senate Judiciary Committee has approved four gun control measures this month, including Feinstein's barring assault weapons and high capacity magazines. The others would expand required federal background checks for firearms buyers, increase federal penalties for illegal gun trafficking and boost school safety money.